We found this and some other previously unrecorded companions very close to each other recently, at a place where you'd have thought they'd have been recorded. Unfortunately the sunlight conditions, aswell as a lack of water to enhance the image, means that the carving doesn't look as good as it could have. Unusually, this and its companions were on vertical faces. Hi Paul, I have a site with a stone that has cup-and-ring marks in a Cumbrian church if your'e interested. Perhaps you prefer stones that are outside. Let me know. Ray. 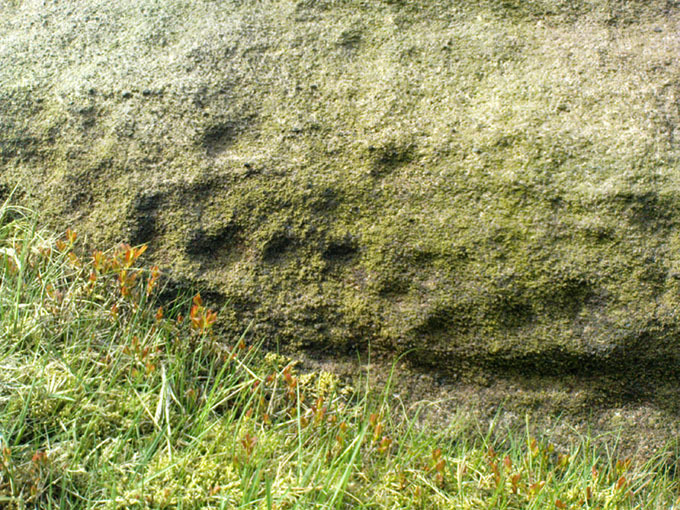 Sunbright57 wrote: Hi Paul, I have a site with a stone that has cup-and-ring marks in a Cumbrian church if your'e interested. Perhaps you prefer stones that are outside. Let me know. Ray.